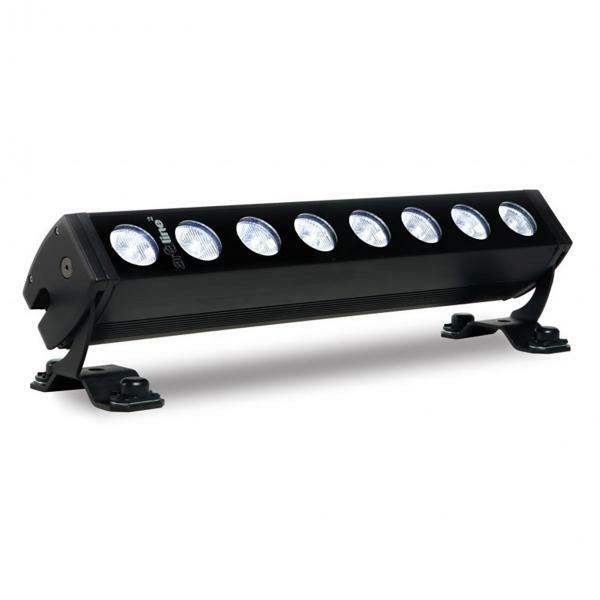 Ayrton LED Striplight 0.50m Arcaline 2 50 3G (IP65). ARCALINE™2 LED static luminaire is the ultimate linear evolution within the AYRTON™ range. Using the new 4-colour multi-chip high-power LED as its light-source, and presenting a stunning smooth and sophisticated profile, ARCALINE™2 is perfect for all kinds of static applications. ARCALINE™2 is equipped with high performance elliptical optics as standard. These optics have been especially developed to give a homogeneous beam and optimum light distribution for stunning wall-washing. However, on special request, ARCALINE™2 can be supplied with optical filters. ARCALINE™2 is available in two sizes: 53 cm length featuring 8 RGBW LED or 102 cm length featuring 16 RGBW LED.